Divide is joining Google! 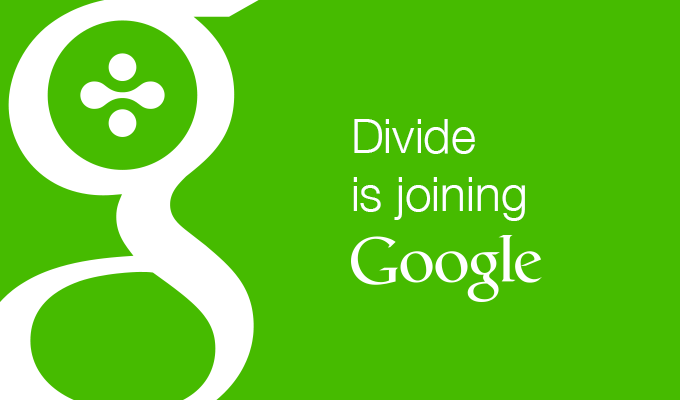 We’re thrilled to announce that Divide is joining Google! Divide was founded with a simple mission: Give people the best mobile experience at work. As part of the Android team, we’re excited to continue developing solutions that our users love. For existing customers, Divide will work as it always has. Thank you to everyone who has downloaded our app, partnered with us, invested in us and provided feedback along the way; we truly appreciate all your support.